Amanchi Venkata Subrahmanyam is a journalist, actor, comedian, producer and director. He was born in 1957 January, 2nd at Tenali town, Guntur District, Andhra Pradesh. He was introduced to the film industry by director Bapu through his film Mister Pellam in the year 1993. 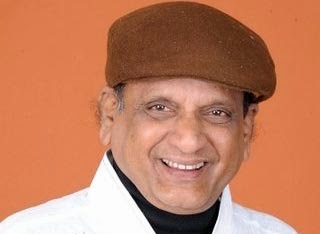 With his first film Mr. Pellam, he became a comedy star in Telugu film. For his first film he bagged many awards including Nandi Award by Government of Andhra Pradesh. From then till now he acted nearly 500 films in the Past 19 years as comedian, villain and character artiste.